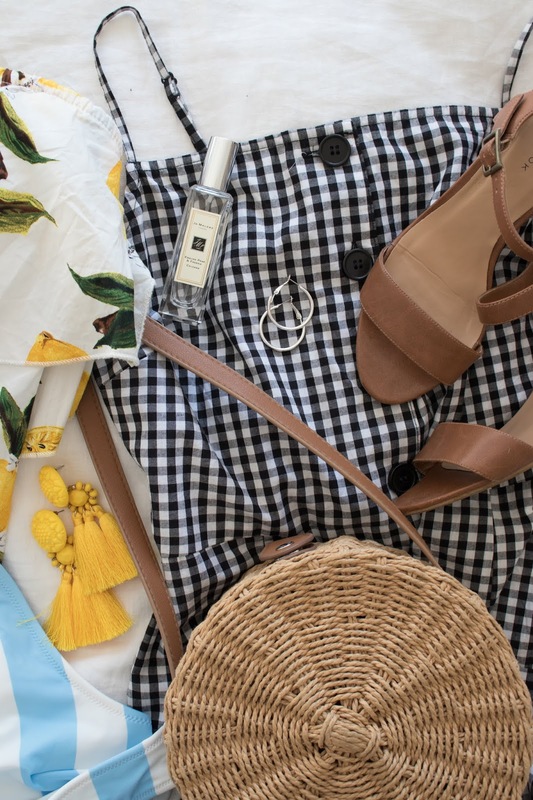 The UK has been seriously hotting up over the past month and having just stepped off a flight back from a week in beautiful Mallorca, my summer wardrobe is full to bursting with new and old goodies perfect for this heat. 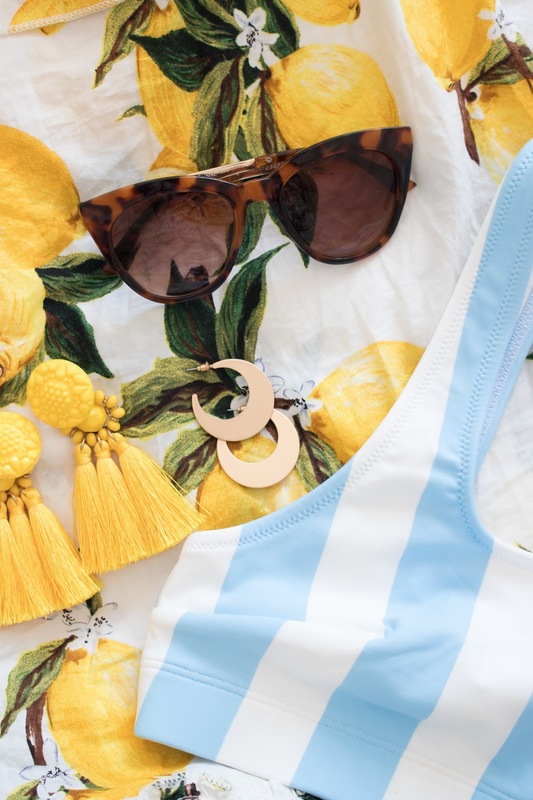 This season I'm loving lemon prints, bold stripes, statement earrings and simple, but flattering bikinis. My holiday outfits were a combo of these, with my simple go to pieces like tan block heels, silver hoop earrings, blue and white patterns and monochrome stripes. After a recent purchase of ASOS Premier, I've found myself stalking the virtual aisles of ASOS on a regular basis frequently filling up my basket and over-using the 'save for later' button. 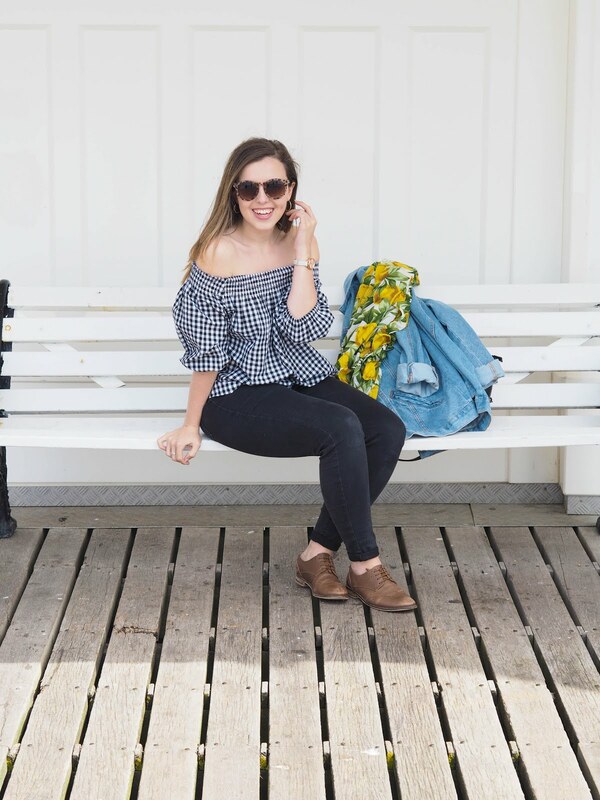 These are my top picks for your heatwave and holiday wardrobe. I thought I'd shed a little light on the beauty, skincare and haircare products I take away with me too. My hair is coloured and curly, so sun, sea and swimming pools can really take their toll on my dry hair. I stock up on Moroccan Oil and nourishing shampoo and conditioners for trips away. My fail safe sun cream is Garnier Ambre Solaire, my family have used it for as long as I can remember, the smell is a nostalgic favourite. When I'm feeling like I need to fake it till you make it, the Bondi Sands Dry Tanning Oil is the best for a seriously convincing fake tan. Jo Malone's Tropical Cherimoya scent is my new summer spritz, but Clarins Eau Dynamisante is an old favourite. What's on your hotlist for your holiday?